A Registered Veterinary Technician will monitor your pet throughout the procedure. We use the safest available gas anesthetic for our general anesthesia. We preform pre-surgical blood testing for all patients the morning of their surgery. We use modern equipment to monitory each patient’s vitals throughout each procedure. These include: heart rate, respiration rate, blood pressure, blood oxygen levels, temperature and more. All patients are placed on intravenous fluids and a warming unit to ensure they do not become hypothermic. Pain Management and Control: Pain can not only affect the demeanor, disposition and temperament of animals, but it also affects their overall health. Pain can cause significant stress on your pet’s immune system making their recovery more difficult. Patient Monitoring: We monitor our patients to keep them as safe as possible during procedures that require general anesthesia. A veterinary technician will continually assess your pet’s heart and respiratory rate, blood pressure, temperature and overall wellbeing. General Anesthesia: For some procedures, your pet will need to be administered general anesthesia so that he or she will be unconscious and not feel pain. Local Anesthesia: If your pet is having a minor surgical or diagnostic procedure performed, we sometimes use a local anesthetic to help control pain. 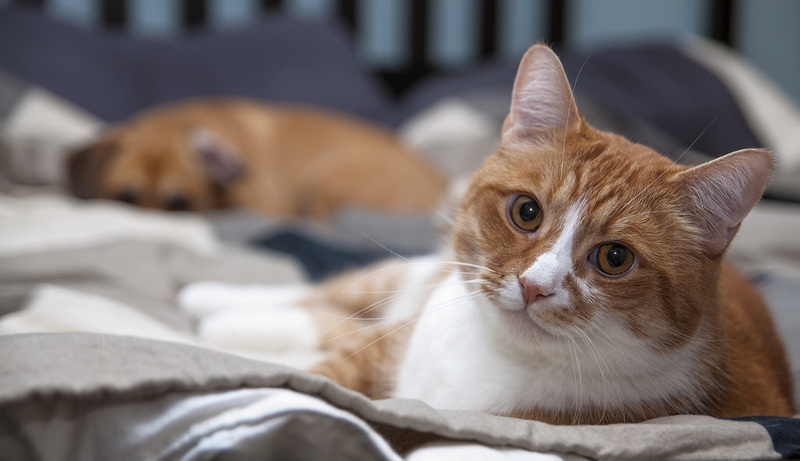 Your pet is awake for these procedures.